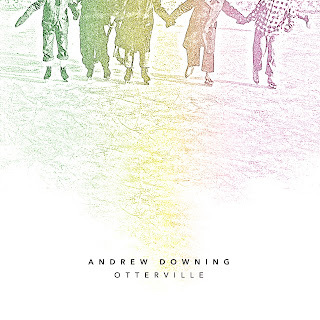 Andrew Downing is a cellist, performer and composer from London, Ontario. He has just released his incredible new album, Otterville. 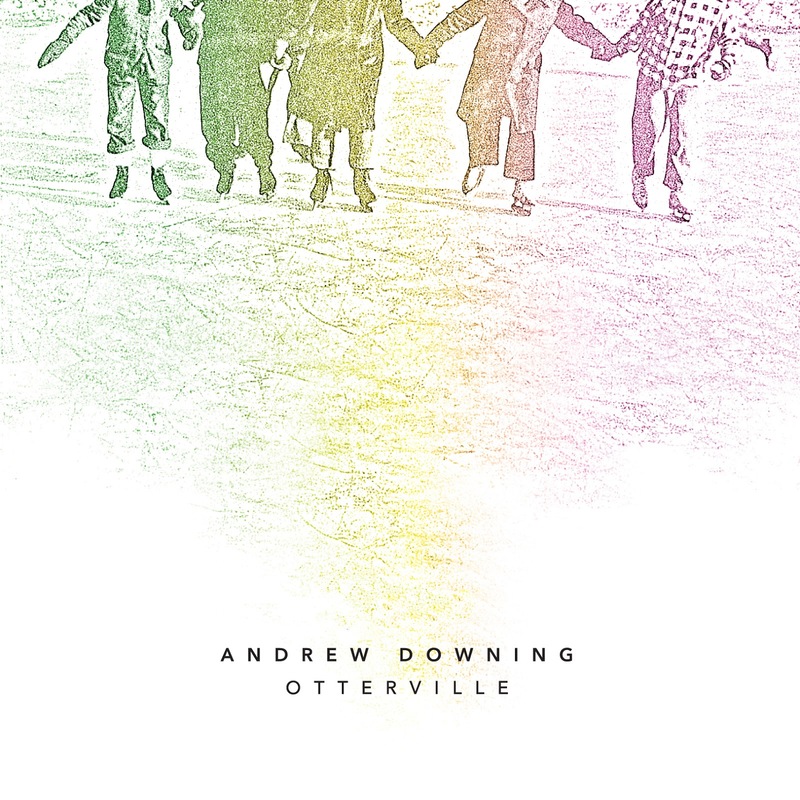 Otterville is Downing’s tenth release, named after a small town in the Southern Ontario tobacco belt that was once home to generations of Downings. The double album features instrumentalists from various musical communities, including Christine Bougie (Bahamas), Paul Mathew (Sarah Harmer, Hidden Cameras) and Michael Davidson (Hobson’s Choice), as well as an impressive list of stalwart Canadian jazz musicians. The compositions are simple and folky, but they revel in the colourfulness of the unique instrumentation and the subtle musical details of the arranging to create dreamy, nostalgic, other-worldly music, inspired by Billy Strayhorn, Kurt Weill, Bill Frisell, Jon Brion and Ry Cooder. 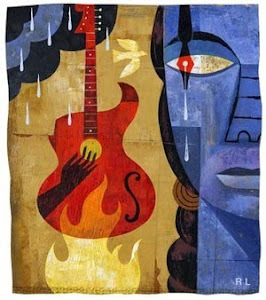 Each piece secretly celebrates one of the great American songwriters and jazz composers of the early 20th century by stealing germs and motifs from old songs and refocusing them using Downing’s compositional lens, like Fall In Line’s veiled tribute to Gershwin’s Strike Up The Band, This Year’s Fancies’ nod to I’m Old Fashioned by Johnny Mercer and Jerome Kern, and Observatory’s inspiration from Dizzy Gillespie’s Con Alma. Included also is a reworking of Billy Strayhorn’s near-perfect classic Take The ‘A’ Train. A special, limited edition of the album also features a hardcover book of stories by Canadian poet, filmmaker and songwriter John Southworth, which also dismantles and refashions the disguised source music into prosaic vignettes. Originally from London, Ontario, Andrew Downing’s career has taken him all over the world as a performer and composer. He won a JUNO award, a West Coast Music Award and a SOCAN award with his band The Great Uncles of the Revolution that featured guitarist Steve Dawson, violinist Jesse Zubot (Tagaq) and trumpeter Kevin Turcotte. He has also collaborated with many celebrated musicians such as American slide guitar luminary David Tronzo on their record Velodrome, Turkish ud player Güç Başar Gülle on their album Anahtar (recorded in İstanbul with a group of Turkish musicians), David Occhipinti and Jim Lewis on their Juno-nominated Bristles, and the aforementioned John Southworth on their multimedia project Easterween. He has also written and arranged music for the Vancouver Bach Choir, Ensemble Polaris, The Carn/Davidson Nine, The Gryphon Trio, Patricia O’Callaghan, cellist Rachel Mercer and banjo player Jayme Stone. 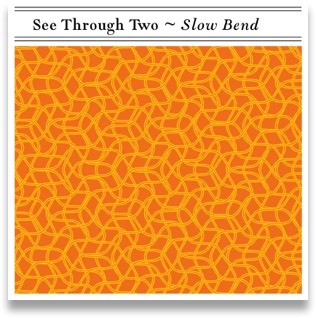 Slow Bend is the debut recording by See Through Two, which is composed of Rob Clutton (bass and banjo) and Pete Johnston (bass). Formed in 2013, See Through Two play original compositions for two basses, with a few tunes featuring other instruments Pete and Rob play (or at least were able to borrow). This recording features nine compositions by Pete Johnston that afford plenty of space for improvisation and general low end theorizing. Marty's review: Very sparse instrumentation and some clever dueling on the basses makes this a most unusual and unique piece of contemporary jazz. Certainly one for private listening and appreciation, it combines classical elements with jazz improvising that results in what I would term a "quiet symphony for the brain". Each track is a one word title with no more than five letters..cool. All-Set! Editions is the brainchild of Toronto musician Mike Smith. Dedicated to releasing sounds from Toronto’s left-field music scene. The aim is to cover everything from bent song-craft to wobbly synthesis, with frequent stops between and beyond. All-Set! Editions’ regular release schedule will bring the sounds of the downtown underground to the ears of curious bystanders wherever they may be. Albums are available through Bandcamp (download and CD), iTunes, and all other major online services. 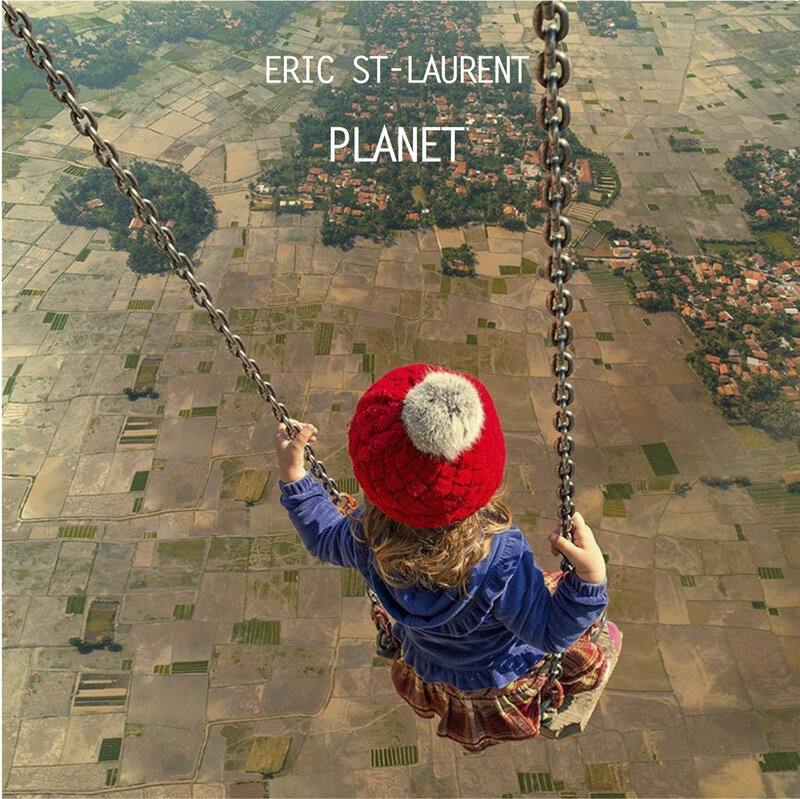 Internationally renowned guitarist Eric St-Laurent is excited to celebrate the release of his fourth album since 2010, entitled Planet. The album features his regular trio with Jordan O'Connor on bass and Michel DeQuevedo on percussion as well as new collaborator and band mate Attila Fias on piano. 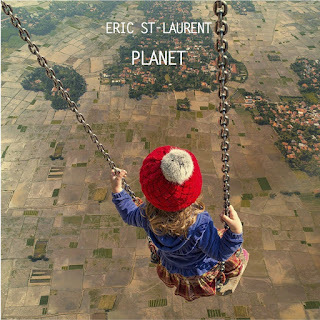 Recorded on the heels of a wildly successful tour in the spring of 2016, Planet features 5 originals by St-Laurent and 3 classic songs; Donna Lee (Charlie Parker), Call Me Maybe (Carly Rae Jepson) and the Theme from the Second Movement of the 8th Piano Sonata by Ludwig Van Beethoven. The group continues in it's mission to create joyful, uplifting melodies, freely borrowing from afro-cuban rhythms, blues, western classical music and of course, the current radio top 40. One of St-Laurent's songs is titled "What Would Steve Gadd Do?" and it was written after St-Laurent watched several hours of the great Steve Gadd's masterclasses on YouTube. "His unparalleled command of the tiniest nuances in groove, overall restrain and impeccable taste are a beacon for modern musicians" explains St-Laurent. Born and raised in Montreal, St-Laurent studied improvisation in New York before moving to Berlin where he toured with both the big and small names of the German and Scandinavian music scenes. 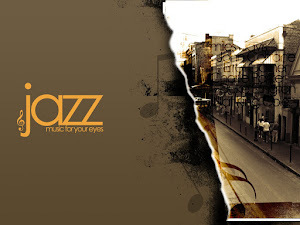 Winner of the SOCAN award for Best Original Composition at the Montreal Jazz Festival and The Best Band Award at the Vienne (France) Jazz Festival, St-Laurent has been featured on over 50 recordings, produced multiple albums, composed scores for short films and theatre, and toured extensively in Europe and Canada. 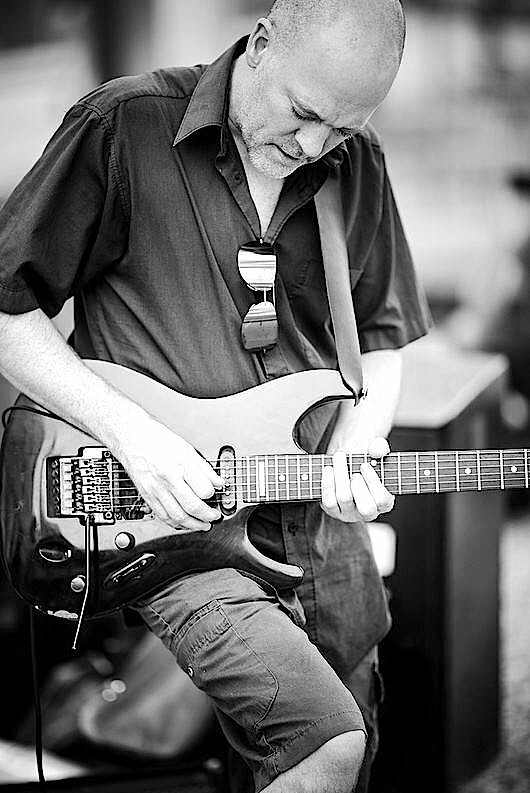 Since returning to Toronto, Canada, St-Laurent has recorded and toured with Till Bronner, Dave Liebman, Dave Douglas, Rebekka Bakken, Slide Hampton, Luc de la Rocheliere, Sylvie Paquette, Richard Underhill, David Binney, Jojo Mayer, Carlos Del Junco, Bernard Primeau and represented Canada at the International Guitar Summit in Nice (MIDEM).